Clearly, American control of gold had weakened considerably in the two decades following Bretton Woods. This weakening continued until the failure of the London gold pool, the arrangement dating from 1961 whereby the major American and European central banks collaborated to defend the $35 peg. The Americans had abused the gold discipline by financing foreign ventures, notably the Korean and Vietnam wars, not out of taxation, but by printing dollars for export, and it began to put pressure on the dollar. The London gold pool effectively spread the cost of maintaining the dollar peg among the Europeans. Unsurprisingly, France withdrew from the gold pool in June 1967, and the pool collapsed. By the end of that year, the US Treasury was down to 10,721.6 tonnes, 30% of total central bank gold reserves, and 15% of above-ground stocks. 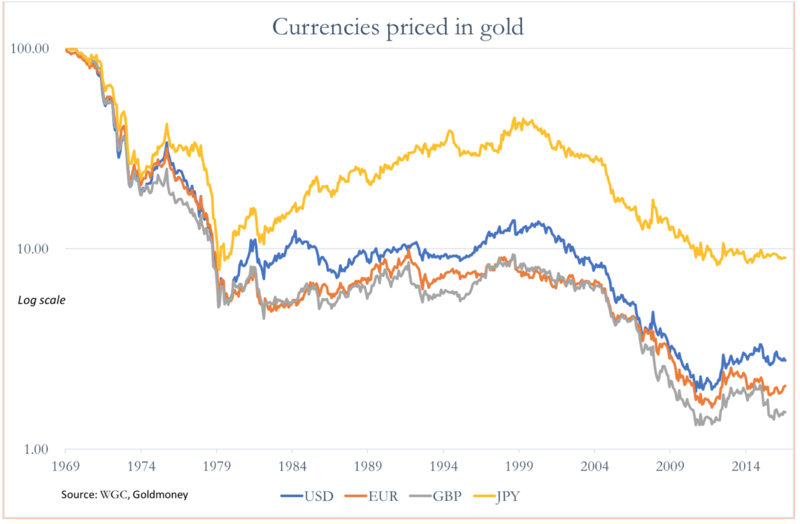 Between 1969 and today, the dollar’s purchasing power relative to gold declined by 97.3% (the blue line). By banning gold from having any monetary role, the US removed price stability from the dollar. 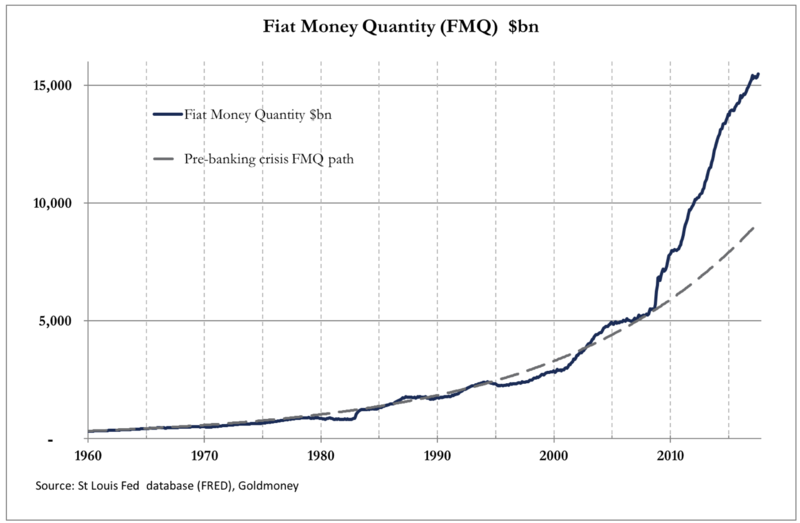 More recently, since the great financial crisis the quantity of fiat money in the global currency system has expanded dramatically relative to the long-term average growth rate of money and bank credit. This is illustrated in our second chart, which records the growth in the total amount of fiat dollars in the US banking system.